Emails are quite popular and inexpensive means of communication that can be extensively used for brand marketing. An appropriate newsletter can target the customers while maintaining the relationship with them. This marketing strategy is great for recurring customers with whom you wish to do business again. 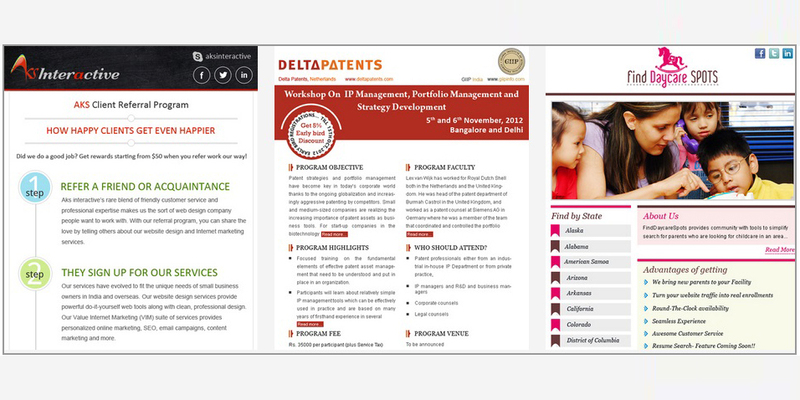 Periodic newsletter implementation can have many benefits for your business. Higher association with your brand – Newsletters let you interact with the customers who have purchased your products or services. You could cross-sell related products or services or can provide the tips for maintaining the product. This enables you to maintain a relationship with your customer and let them have a positive image regarding your product in case they wish to purchase or upgrade later. Cost effective – Newsletter are email based and are way cheaper in cost compared to pamphlets and newspaper advertisements. This cost effective strategy can help you minimize your expenses on advertisement and marketing. Time saving – Along with cost-effectiveness Newsletters are time saving too, since you can send bulk emails in almost no time. Through newsletters you could reach millions of customers in just a few minutes. Personalized communication – You could personalize your interactions with newsletters. With a few adjustments in your mailbox you could reach your specific clients according to business relations, demographics, geography etc. Reach – You can reach to millions of targeted customers in few minutes by dropping in newsletters, no offline marketing method can be comparable in this context. Environment friendly – The technique requires no paper and no printing, which is indeed environment friendly. Newsletter Design Services thus has an edge over traditional techniques of marketing; you could specifically target your old and recent customers you did business with. Designing a newsletter takes creative put up of graphics and information, an appealing newsletter is sure to grab the attention of the customer. It requires careful use of words, colors, graphics etc. to create an impact on the reader, your newsletter should reflect professionalism at its best.